Use these pretty patterned animal notebooks to write lists, draw pictures, make notes & plan adventures! 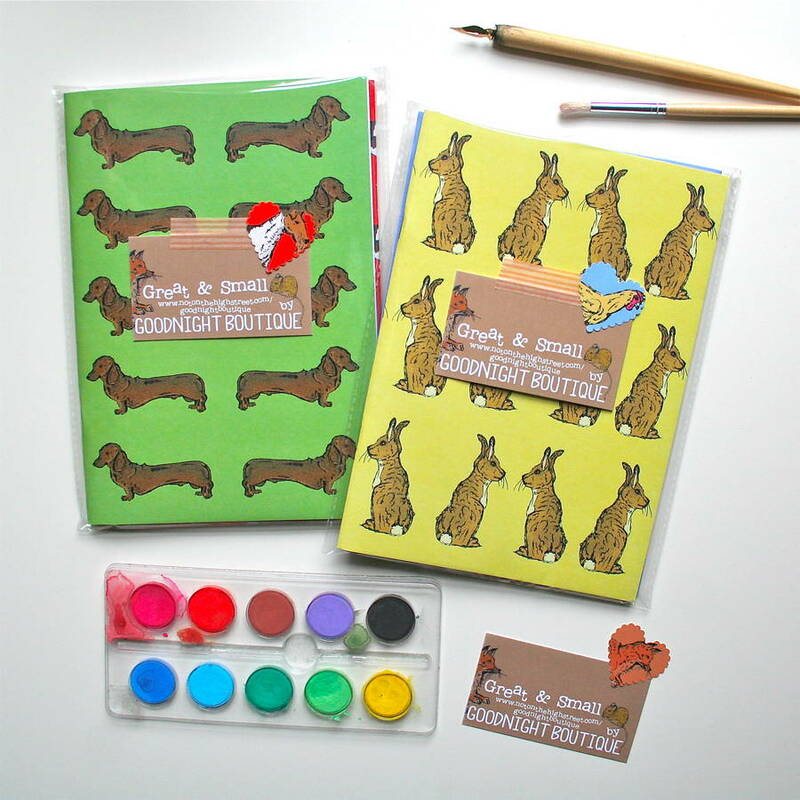 This notebook gift set contains 8 notebooks; 1 x Fox on Orange, 1 x Badger on Dark Red, 1 x Rabbit on Yellow, 1 x Chicken on Blue, 1 x Deer on Brown, 1 x Owl on Mint Green, 1 x Fox Terrier on Bright Red & 1 x Dachshund on Bright Green. 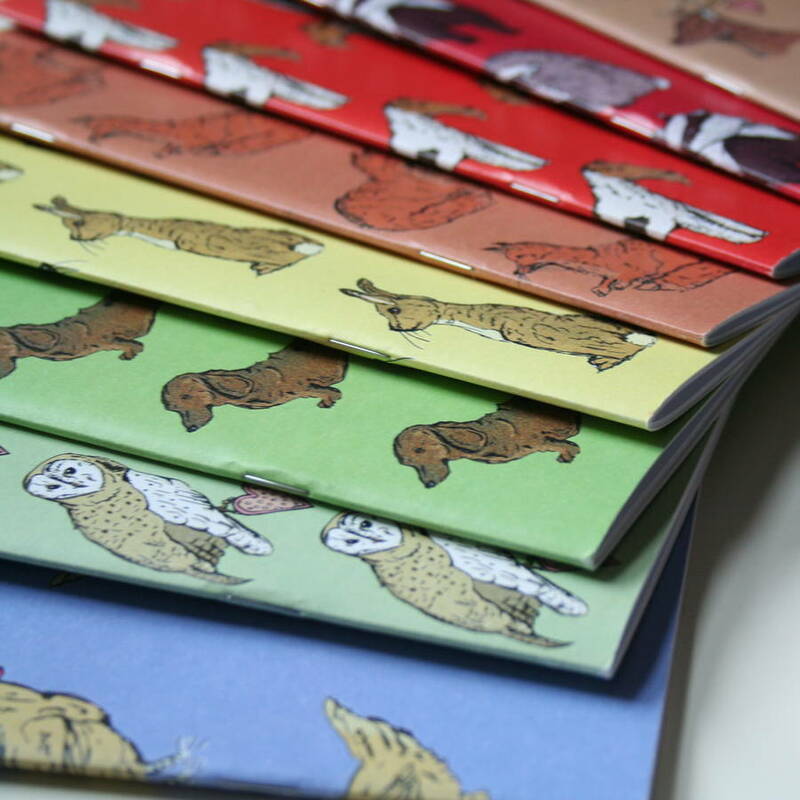 Original illustrations fill the brightly couloured front and back covers of each notebook, whilst the insides contains 40 sheets of unlined white paper. 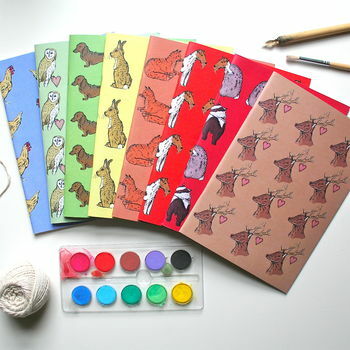 These animal notebooks would be the perfect gift for anyone who loves animals, artwork, and hoarding beautiful stationery! Printed by a UK based eco-friendly printers, from my own beautiful drawings, onto a 300gsm 100% recycled matt card cover & 100% recycled 90gsm uncoated plain pages. 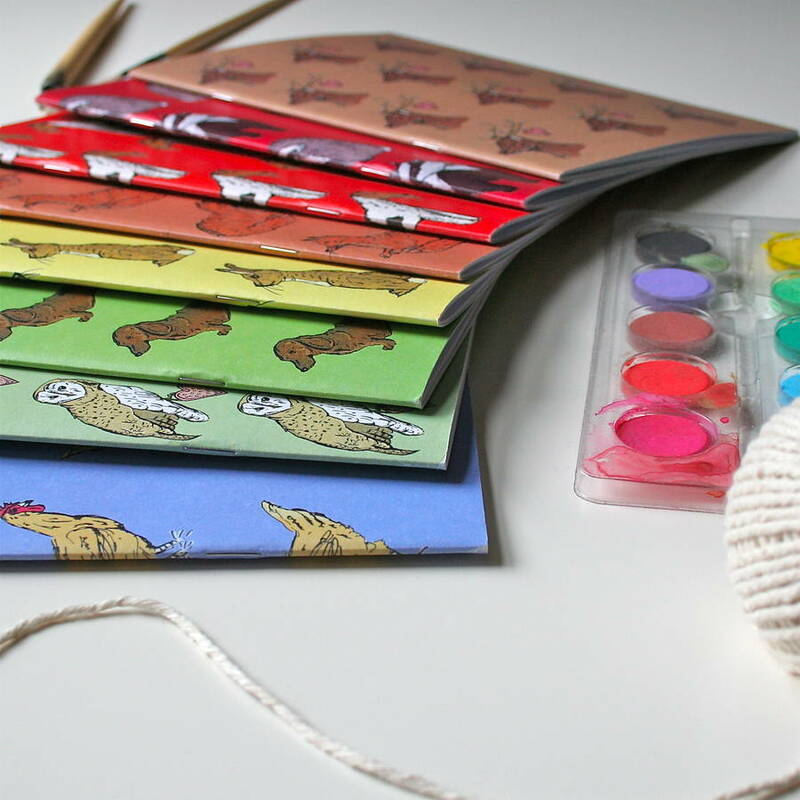 Your notebooks will arrive, beautifully packaged, snug and safe, within a cellophane bag.